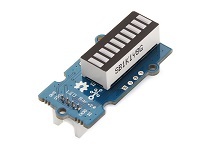 The Grove - Light sensor integrates a photo-resistor(light dependent resistor) to detect the intensity of light. The resistance of photo-resistor decreases when the intensity of light increases. 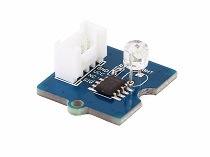 A dual OpAmp chip LM358 on board produces voltage corresponding to intensity of light(i.e. based on resistance value). The output signal is analog value, the brighter the light is, the larger the value. The light sensor value only reflects the approximated trend of the intensity of light, it DOES NOT represent the exact Lumen. Step 2. 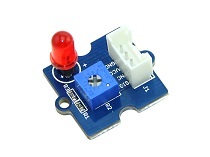 Connect Grove-Light Sensor to port A0 of Grove-Base Shield. Step 3. Connect Grove-Led Bar to port D2 of Grove-Base Shield. Step 5. 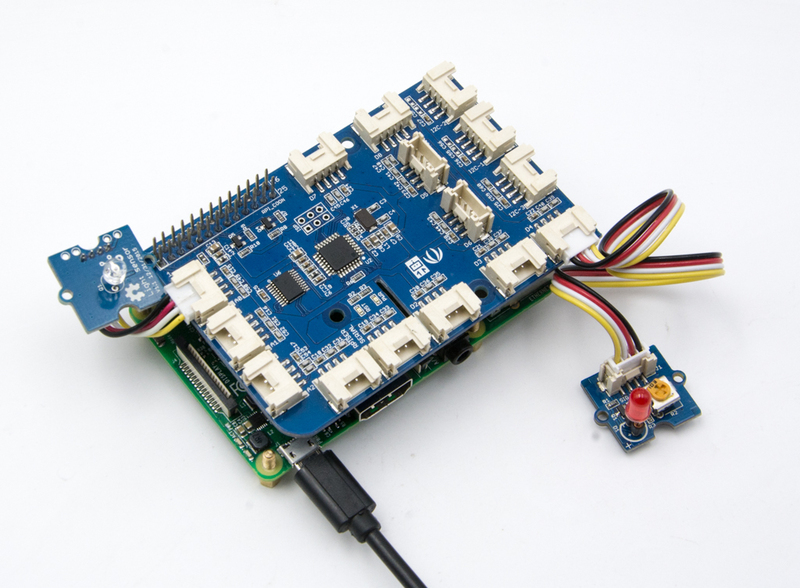 Connect Seeeduino to PC through a USB cable. 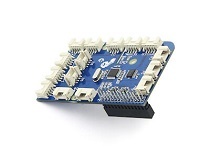 If we don't have Grove Base Shield, We also can directly connect Grove-Light Sensor to Seeeduino as below. Step 1. Download the Grove-LED Bar Library from Github. Step 2. Refer How to install library to install library for Seeeduino. Step 3. Copy the code into Seeeduino IDE and upload. Step 2. The Led bar will change base on light. Step 1. 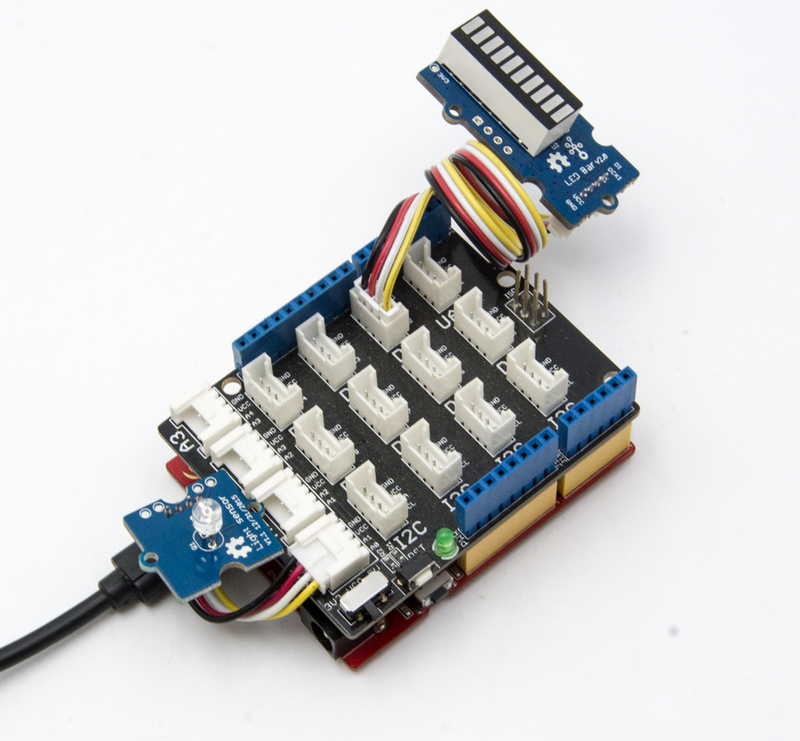 Connect a Grove - Light Sensor to port A0 of a Base Shield. 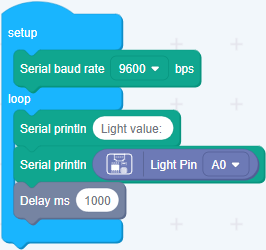 When the code finishes uploaded, you will see the brightnedd value displayed in the Serial Monitor. Step 3. 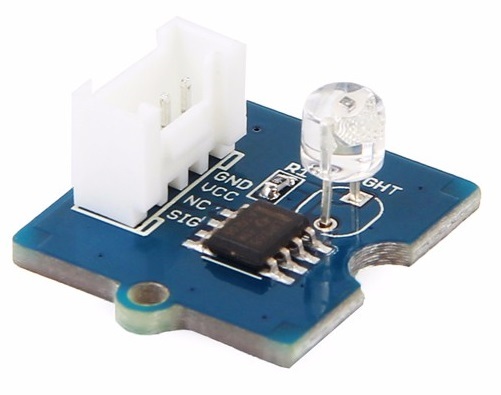 Connect the light sensor to port A0 of the Base Hat. For step 3 you are able to connect the light sensor to any Analog Port but make sure you change the command with the corresponding port number. 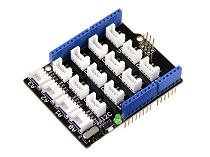 Following is the grove_light_sensor_v1_2.py code. Step 3. 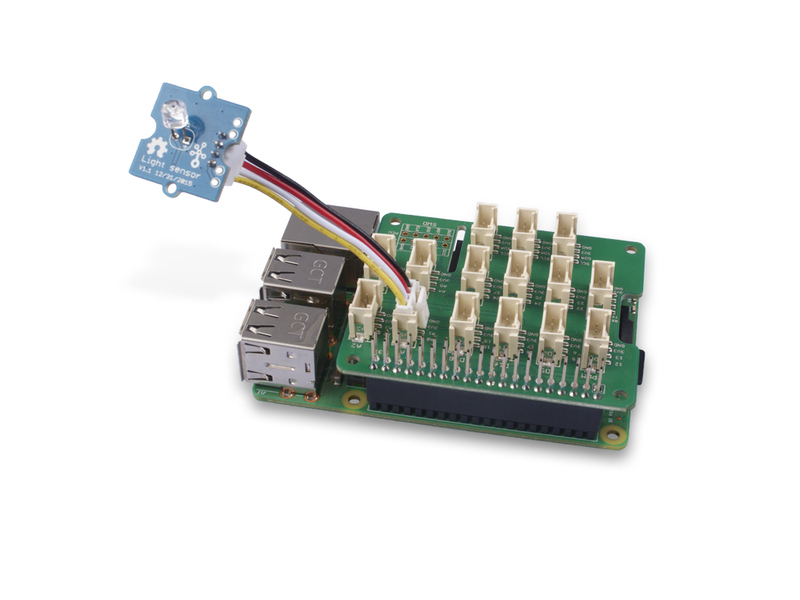 Connect Grove-light sensor to A0 port of GrovePi_Plus. Step 4. Connect Grove-Red Led to D4 port of GrovePi_Plus. Step 5. 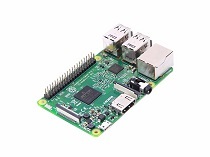 Connect the Raspberry to PC through USB cable. Step 3. Excute below commands. 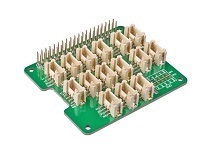 Here is the grove_light_sensor.py code. Step 4. The led will turn on when the light sensor gets covered. 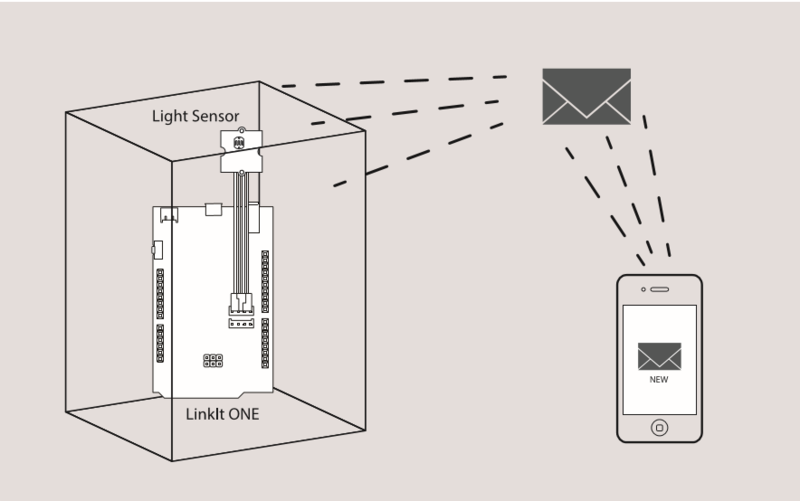 Here we will show you a project made with Grove - Light Sensor - Secret Box. First you need a box, a paper box, wooden box, any box is ok. Put something in the box, because we named it secret box, that means we don't want anybody to open it, otherwise there will be an alarm to inform you. 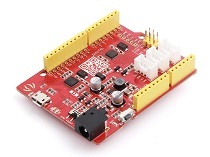 Let's connect Grove - Light Sensor to A0 or Base Shield, and open Arduino IDE, copy below code and upload the example to LinkIt ONE. Then someone open the box, the light will detect it, and send you a SMS. The Environment Cube! Know the Land Beneath You using Sigfox: A cube with all the necessary sensors, suitable for a wide range of applications like agriculture, monitoring, ,etc.